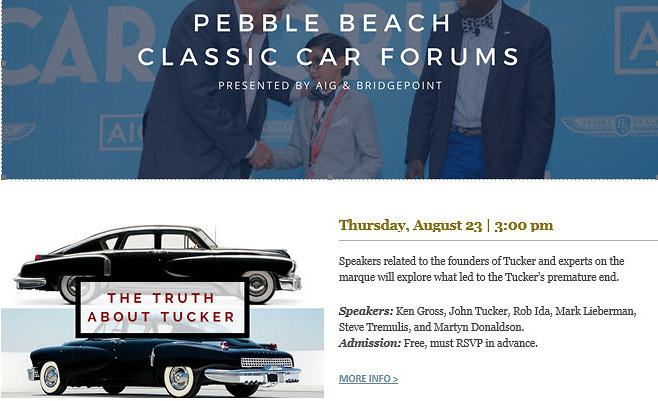 The Pebble Beach Concours d'Elegance has issued a press release on the 12 Tuckers that will be appearing in a first-time feature class at Sunday's 2018 concours. I am honored to have Tucker 1044 as one of the selected automobiles. In all, only 51 Tucker Model 48 Sedans were built, and a dozen of these cars will appear in a first-time feature class at the 2018 Pebble Beach Concours d’Elegance. Although short-lived, the radical rear-engine Tucker made national headlines. 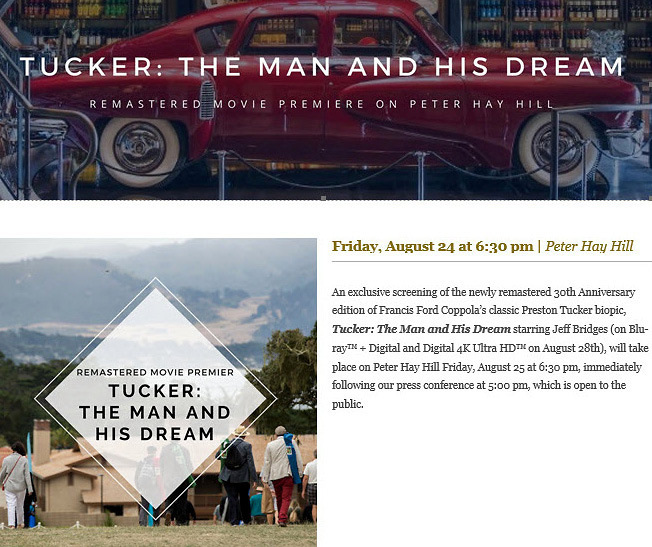 Its intriguing story, recounted in Francis Ford Coppola’s movie Tucker: The Man and His Dream, cast Preston Tucker as a lone inventor battling the huge Detroit automakers and entrenched interests, and preyed upon by nefarious broadcaster Drew Pearson, devious US attorney Otto Kerner Jr., and the crusading "senator from Detroit" Homer Ferguson. ....Hope You Have A Great Time…. Best of luck at Pebble Beach. Eager to read a write up of the classic event especially as it applies to your Tucker. Best of luck,a long fought project and today is “the day”. Howard, You’re on your way !! Good Luck !! I’m sure you had a “blast” at Pebble Beach. Good luck!